A larger air bag maybe coming in the newest Air Max model. That's a whole lot of Air! As you can see, the new silhouette has an air bag comparable to (maybe even bigger than?) 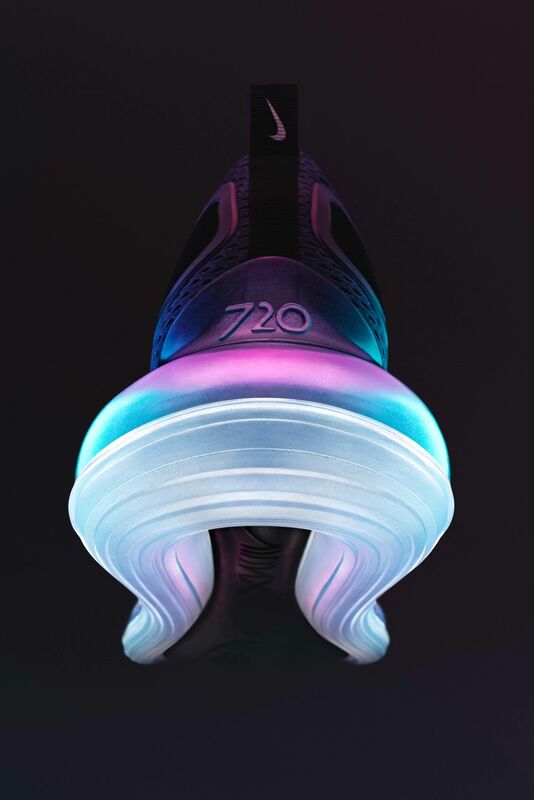 the massive 32mm-high one on the Air Max 270. Plus, it's not just a heel unit this time—the air wraps around three quarters of the sole, tapering out at the toe. Zoom in, and you can catch just a bit of mesh on the upper, plus paneling in what looks to be a rubber- or plastic-like material. 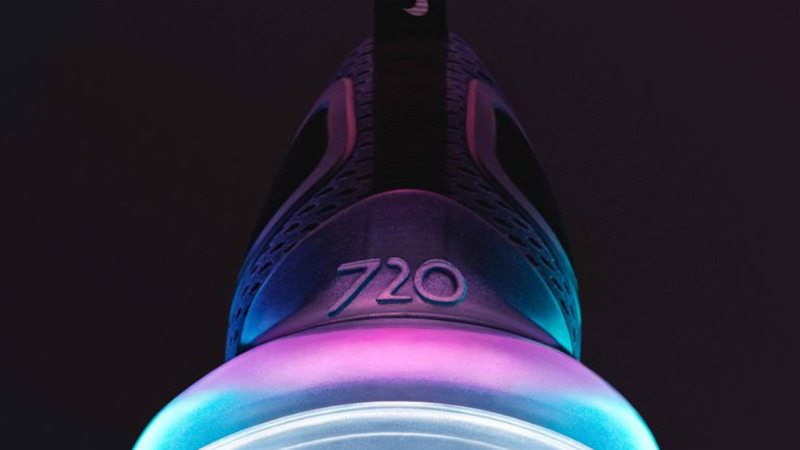 There's also foam panel sitting inside the air bag on the sole, plus a big ol' "720" branding hit at the heel. And... that's about it. Like we said: It's a tease. But there's sure to be more coming from the Swoosh soon.